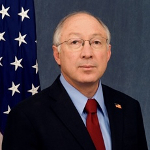 Former Secretary of Interior Ken Salazar delivered the Keynote Address for the 2014 RMLUI Conference. Click here to watch the video. This day-long, soup-to-nuts workshop explored the process of land use development. Click here to download the workshop flyer. RMLUI was very pleased to work with the Metropolitan Greenspaces Alliance (MGA) to develop this year’s featured session track. Download the Session Information guide to learn more about this track. You can also watch videos from these sessions through the 2014 Home Study Program. RMLUI’s Home Study sessions provide an ideal option to maintain your professional credentials. Each block of videos presents a selection of panels from RMLUI’s Annual Land Use Conference and is accredited for CLE and AICP continuing education credits. For more information about the sessions and registration information, please visit the Home Study web page. Burge, Greg – Can Impact Fees Prevent Sprawl? Kappes, Jeff – What We’re Building Now, and Why Communities and Planners Should Be Happy About It! Nelson, Arthur – Can IMpact Fees Prevent Sprawl? Nickless, Dan – What We’re Building Now, and Why Communities and Planners Should Be Happy About It! Pidot, Justin – Koontz: A Big Deal or Business as Usual?